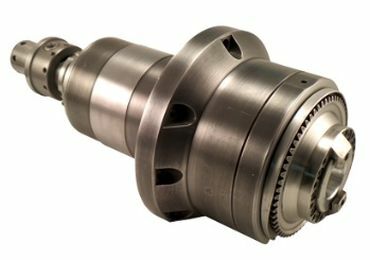 While "drier is better" may not apply across the board with machine tool applications, it certainly rings true when used in context with air supply to machine tool spindles. Accoding to GTI Spindle, more often than not, poor quality air supply to spindles is a significant factor in premature machine tool spindle failures. Whether it be a particulate contaminant in the air supply or moisture contaminated air supply, either is a recipe for disaster. Too often, maintenance personnel and operators alike focus primarily on proper lubrication supply to spindles. While this is extremely important as it can cause immediate spindle failure if not properly configured, a contaminated air supply is what GTI refers to as the "silent killer" of spindles. It is an industry fact that 80 percent of all spindles fail due to contamination. Often, the assumption is made that it is contamination caused by ingress from an external source, i.e. grinding swarf or part coolant. You would be surprised to learn that you (the end user) are in many cases slowly but surely killing your own spindle, which is your production lifeline. A large, well-known and experienced PA based auto parts manufacturer routinely runs 24/7 production utilizing Bryant High Speed ID grinding spindles. In 2016, their spindle failure rates were averaging 40 repairs per year with contamination failures representing 80 percent of those failures. GTI worked closely with the end user to track and trend these failures not only by spindle s/n but most importantly by machine tool s/n that the spindles were deployed in. After diligent team work, root cause of failure assessments, and machine tool assessments, today the spindle failure rates have dropped by nearly 50 percent. Why and how you ask? It's simple in this case...DRIER is better. They purchased and installed a 3-cell dryer. Its overall capacity is 7500 CFM (2500/Cell), so that they only need to be running on 2 cells at a given time. The advantage to the 3-cell dryer is that one cell can be maintained without stopping production. By cooperative identification of their "problem" machines and subsequent implementation of the air drier system to support their machine tools, spindle contamination failures have dropped dramatically.